THE Bharatiya Janata Party (BJP) on Friday cited the Samjhauta train blast case judgment to assert that the probe focussed on establishing the Congress’s “political theory of Hindu terror”, as it accused the Opposition party of “smearing” Hindus on the basis of “forged” evidence for political benefits. Senior BJP leader and Union Minister Arun Jaitley also took a swipe Congress leaders, including its President Rahul Gandhi and General Secretary Priyanka Gandhi Vadra, over their temple visits, saying those who believed Hindus to be terrorists are now busy showing their dedication to the religion. It is good that they visit temples and also acknowledge that it is the birthplace of Lord Ram, he said in an apparent reference to Priyanka’s visit to Ayodhya. 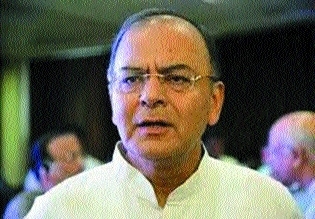 Attacking the Congress over the Samjhauta blast verdict, Jaitley said people cannot tolerate an entire community being labelled as terrorists. Reading parts of the judgment slamming the National Investigation Agency for miserably failing to prove allegations against the accused -- all of whom, including Swami Aseemanand, were acquitted -- Jaitley said the investigation was carried out between 2007-09 when the UPA was in power. The court, which released the verdict in its entirety on Thursday, said it has to “conclude this judgment with deep pain and anguish as a dastardly act of violence remained unpunished for want of credible and admissible evidence. There are gaping holes in the prosecution evidence and an act of terrorism has remained unsolved. The blast in Samjhauta Express between India and Pakistan took place near Panipat in Haryana on February 18, 2007, when the train was on its way to Attari.